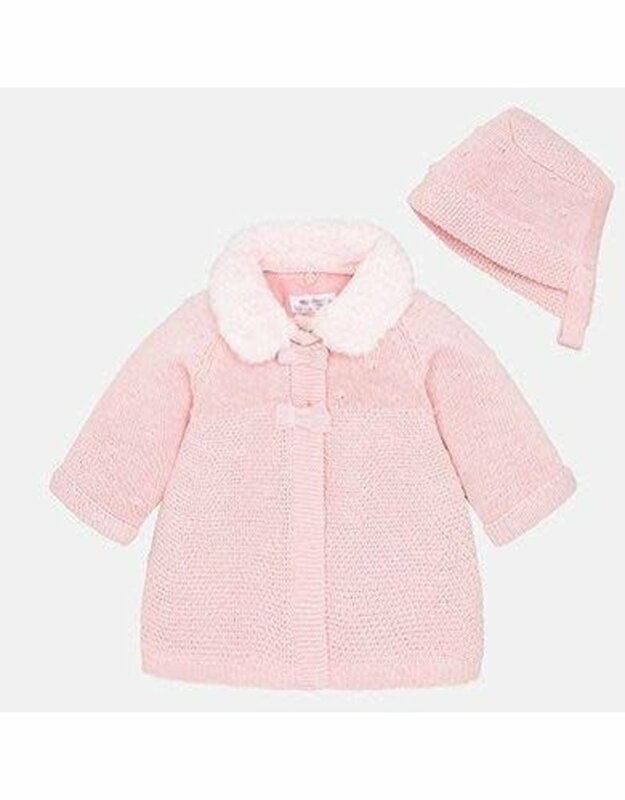 Elegant coat for baby with matching bonnet. 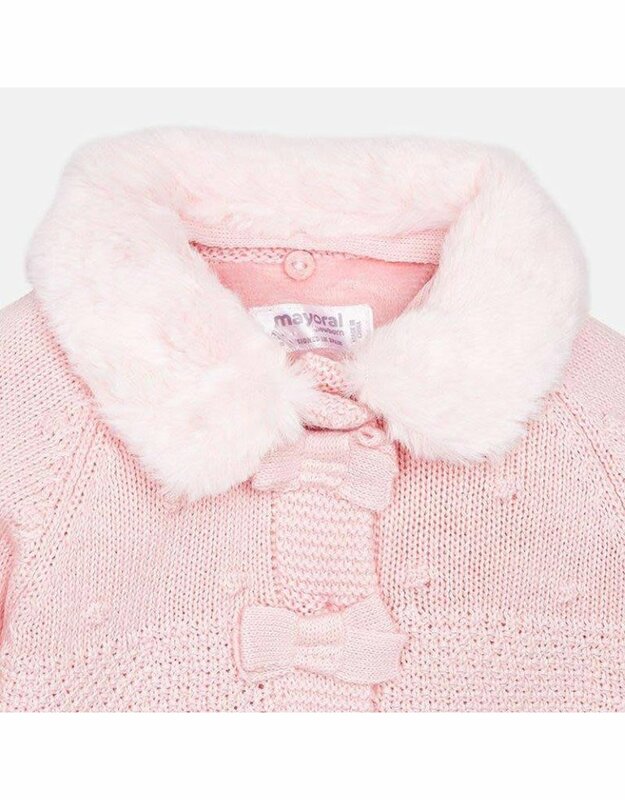 This coat has a detachable fur collar for an adaptable design and hidden press studs down the front, making it easy to fasten. It is made from original, structured knit fabric with embossed motifs. 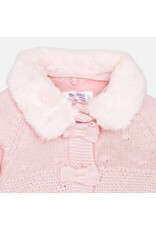 The inner lining is made from soft, fine fur. Appliqued bows for decoration.